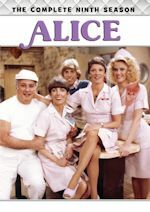 New York, get ready for another classic TV marathon on WLNY during a holiday. 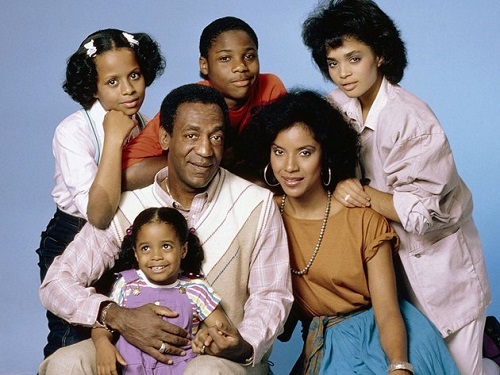 One of the most beloved families in television history will have you laughing on Presidents' Day, Monday, February 17, when WLNY-TV 10/55 presents The Cosby Show marathon from 9:00am to 9:00pm. 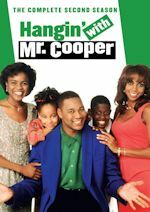 This classic sitcom filmed in Brooklyn, New York, stars Bill Cosby as Heathcliff "Cliff" Huxtable and Phylicia Rashad as his wife, Clair Huxtable. The marathon will have all 24 unforgettable episodes from the sitcom's classic first season. 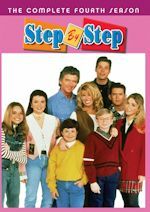 The marathon will culminate in primetime with the 1985 "Slumber Party" episode, when Clair is out of town for a seminar and Cliff tries to entertain Rudy's friends during a slumber party, airing at 7:30 pm and the fun filled 1985 "Cliff’s Birthday" episode, when the Huxtable children celebrate Cliff's 50th birthday by presenting things that are older than dad and Cliff goes to extreme measures to find out what the family will give him for a present, airing at 8:30pm. Immediately following the memorable Cosby Show moments, viewers can tune into WLNY News at 9PM. WLNY's The Cosby Show marathon will also feature the 1985 "Vanessa's New Class" episode, where Vanessa's solar system doesn't compare to the competition at the science fair and she accuses her best friend of getting help from her parents (5:30pm) and the "Clair's Case" episode where Cliff teaches the children the proper way to do their chores and cooks strange foods for dinner, while Clair keeps long hours as she prepares to represent Sondra in court (6:00pm), and the 1985 "Back to the Track, Jack" episode, when Cliff accepts a challenge to compete in a track event for seniors, only after his college rival dares him to participate (7:30pm). And of course the marathon will start off with "Pilot Presentation" at 9:00am followed by the classic second episode "Goodbye Mr. Fish." Tune in on Monday on WLNY, New York! For the week of Feb. 17-21, 2014, we have many current sitcom stars and past sitcom stars on TV talk shows! All times listed are Eastern. So get your DVRs (or whatever you use) ready! Ready? Here is all what you need to know for the coming week! Will Smith (The Fresh Prince of Bel-Air) - Watch Will on The Tonight Show Starring Jimmy Fallon at midnight on NBC. The Cast of How I Met Your Mother - Josh Radnor, Cobie Smulders, Jason Segel, Alyson Hannigan and Neil Patrick Harris will “suit up!” when they present the Top Ten List on The Late Show with David Letterman at 11:35pm on CBS. Will Arnett (The Millers/Up All Night/Arrested Development) - Will drops by Jimmy Kimmel Live! at 11:35pm on ABC. Ellie Kemper (The Office) - Ellie appears on The Late Late Show with Craig Ferguson at 12:37am on CBS. Bailee Madison (Trophy Wife) - Bailee visits Home & Family at 10am ET/PT on Hallmark Channel. Geoff Stults (Enlisted/Ben and Kate) - Geoff is a guest on Access Hollywood Live, so check your local listings. Tom Arnold (The Tom Show/Tom/Roseanne) - Tom stops by The Arsenio Hall Show, so check your local listings. Leah Remini (The King of Queens/Fired Up) - Leah appears on The Queen Latifah Show, so check your local listings. Kimberly Williams-Paisley (According to Jim) - Kimberly will be on ABC's Good Morning America between 7-9am. Albert Tsai (Trophy Wife) - Albert is a guest on Pop Sugar on TV Guide Network at 6pm and on the next day on their website at noon. Jerry Seinfeld (Seinfeld) - Catch Jerry on The Tonight Show Starring Jimmy Fallon at midnight on NBC. Kristen Schaal (Bob's Burgers/30 Rock) - Kristen is a guest on The Late Late Show with Craig Ferguson at 12:37am on CBS. Jerry O'Connell (We Are Men/Carpoolers/My Secret Identity) - Jerry guest co-hosts The View on ABC at 11am ET/10am CT-PT. Matt LeBlanc (Episodes/Friends) - Matt visits ABC's Good Morning America between 7-9am. He will also be on LIVE! with Kelly and Michael, so check your listings. Craig Ferguson (The Talk) - Craig appears on The Talk on CBS at 2pm ET/1pm CT-PT. Debra Messing (Will & Grace) - Debra talks about Broadway's Outside Mulligan on NBC's Today in the 10am hour. Donald Faison (The Exes/Scrubs) - Donald will be on SI Now at 1pm. Ray Romano (Everybody Loves Raymond) - Watch Ray on Conan at 11pm on TBS. Leonardo DiCaprio (Growing Pains) - Leonardo is interviewed by Gayle King on CBS This Morning between 7-9am. Penny Marshall (Laverne & Shirley) - Penny is a guest on The Queen Latifah Show, so check your local listings. Tony Danza (Who's the Boss?/Taxi) - Tony will be on Fox & Friends on Fox News Channel at around 8:30am. Joseph Gordon-Levitt (3rd Rock from the Sun) - Catch Joseph on The Late Late Show with Craig Ferguson at 12:37am on CBS. Christian Slater (Breaking In) - Christian visits ABC's Good Morning America between 7-9am. He will also be on LIVE! with Kelly and Michael, so check your listings. Clark Gregg (The New Adventures of Old Christine) - Clark appears on The Talk on CBS at 2pm ET/1pm CT-PT. 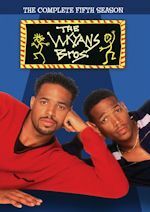 Marlon Wayans (The Wayans Bros.) - Marlon is a guest on Access Hollywood Live, so check your local listings. Fran Drescher (Happily Divorced/The Nanny) - Fran chats on Access Hollywood Live, so check your local listings. David Walton (About a Boy/Bent/Perfect Couples) - David will be on Pop Sugar on TV Guide Network at 6pm and on the next day on their website at noon. Jason Hervey (The Wonder Years) - Jason appears on The Couch on WLNY 10/55 in New York between 7-9am. Ken Jeong (Community) - Watch Ken on The Late Late Show with Craig Ferguson at 12:37am on CBS. Demi Lovato (Sonny with a Chance) - Demi is part of the guest panel on a repeat of Chelsea Lately on E! at 11pm. Tamera Mowry-Housley (Sister, Sister) - Tamera addresses critics and opens up about her interracial marriage and motherhood on Bethenny, so check your local listings. Anthony Anderson (Guys with Kids/All About the Andersons) - Anthony appears on The Arsenio Hall Show, so check your local listings. Eric McCormack (Will & Grace) - Eric visits The Talk on CBS at 2pm ET/1pm CT-PT. Mayim Bialik (The Big Bang Theory/Blossom) - Mayim is a guest on New York Live on WNBC at 12:30pm ET. Jackée Harry (227/Sister, Sister) - Jackée will be featured on Oprah: Where Are They Now? at 9pm on OWN. Rhea Perlman (Kirstie/Cheers) - Rhea chats on Tavis Smiley on PBS, so check your local listings.